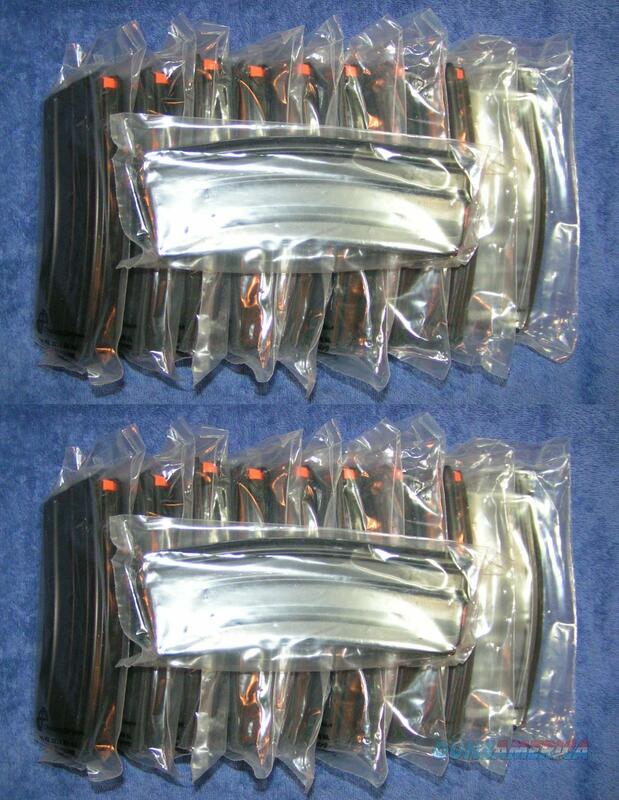 Description: Twenty new aluminum mags made by C-Products. With orange no-tilt followers. Holds 30 rounds of 5.56 or .223 ammo. Price is for a group of 20 mags. Aluminum bodies with black Teflon coating. Stainless steel springs. Made in the USA. Guaranteed to work or your money back. I accept credit cards, cash, personal checks, company checks, money orders, cashier's checks, and bank checks. Stock photos. Free shipping. Florida residents add 7%. I combine shipping. UPC 766897410086. Product ID 30 230 01178CPD. Rich.